Batavia Biosciences is a biopharmaceutical CDMO with an extensive track record in viral vaccine, viral vector, protein and antibody projects. We aim to significantly contribute to ease human suffering from disease by improving the success rate in the translation of candidate medicines from bench to clinic. We offer our technologies and in-depth knowhow to help our partners to complete preclinical phases in biopharmaceutical product development at higher speed, reduced costs and increased success. Our STEP® technology for example, enables us to generate high producing stable cell lines in just 14 weeks for production of your protein of interest. And our SIDUS® technology enable us to deliver a well-defined development trajectory and assure rapid, cost-efficient and successful production of your viral vector. 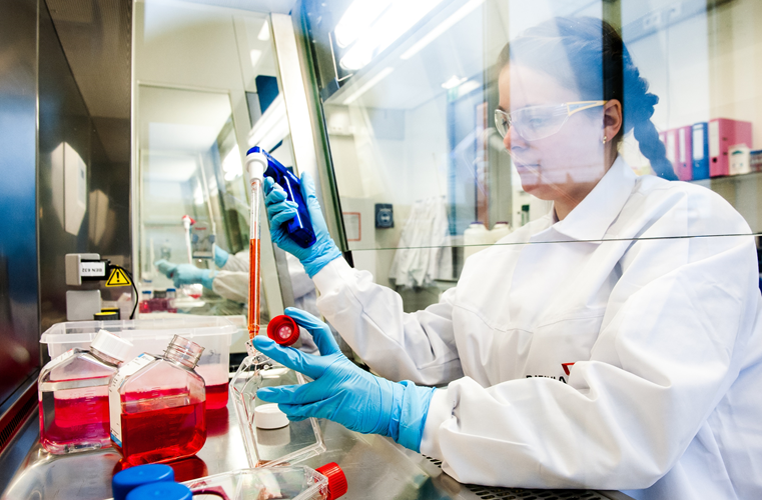 The company focuses on the early stages of product development including mammalian cell line and microbial strain generation, upstream process development, purification development, medium optimization, product characterization and clinical manufacturing. Headquartered in Leiden, The Netherlands, with a US-based facility in Woburn, Massachusetts, and offices in Hong Kong, Batavia Biosciences is privileged to have strong strategic partners worldwide.